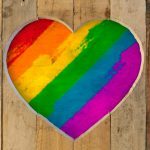 Brave Spaces provides support services for lesbian, bisexual, transgender, and other queer (LBTQ) women through a dedicated hotline, social services, workshops and events. +65 8788 8817. A helpline for women in Singapore who identify as lesbian, bisexual, transgender, or queer. Our trained team of operators and counsellors are here for you, Monday to Friday, 10:00am to 6:00pm. We provide counselling support. Our trained counsellors are understanding and sensitive to the needs and concerns of Singapore women of intersectional identities. Keep a lookout for our fun and informal meet-ups. We occasionally invite subject matter experts to facilitate sharing at each regular meet-up. We run programmes and events to help women pay more attention to continuously nurture a healthy mind, body and soul. We train social service providers and professionals, expanding capacities and capabilities in serving LBTQ women in need.